The company that sold a WWII-era amphibious Duck vehicle involved in a deadly Aurora Bridge crash said it had “no reason to believe” a recommended safety fix had not been made. The state has suspended Seattle’s Ride the Ducks operations pending an investigation. OLYMPIA — The company that sold the amphibious Ride the Ducks vehicle involved in last week’s deadly crash on the Aurora Bridge says it had “no reason to believe” that the Seattle firm that bought it had not made a safety fix to the vehicle that was recommended two years ago. In a statement issued Monday, Ride the Ducks International, of Atlanta, said it issued a service bulletin in 2013 to “company-owned locations and our licensees” — including the independently owned and operated Ride the Ducks of Seattle, LLC. The bulletin had recommended front axle housing repairs for 57 Duck vehicles, including the Duck that crashed in Seattle, the statement said. But for reasons still being investigated, the Seattle firm didn’t make the recommended axle repairs to the Duck. State and federal officials said the vehicle’s axle issues may have contributed to the fatal crash. 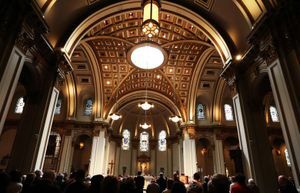 Records obtained by The Seattle Times on Monday show that in 2013 and 2014, the company’s mechanics conducted annual inspections of Duck No. 6, the vehicle involved in the crash. The inspection reports show mechanics replaced various parts during the maintenance but took no corrective actions on the vehicle’s steering and front axle. Earlier Monday, the Washington Utilities and Transportation Commission (UTC) issued an emergency order to suspend Ride the Ducks of Seattle’s operations pending a full investigation of the company’s fleet. “Because of the possibility of continuing safety problems and a current lack of confidence surrounding the company’s operations, we believe it is important to act immediately to protect the public safety,” commission Chairman David Danner said. The UTC, which regulates charter buses statewide, also plans to file a formal complaint this week “alleging that the company operated at least one of its vehicles in an unsafe manner,” said David Pratt, who manages the UTC’s transportation safety program. The commission has set a formal hearing on the complaint for Thursday morning. Pratt also told commissioners Monday the UTC is now conducting a comprehensive investigation of Ride the Ducks of Seattle that will include checks of driver records, maintenance and inspection files and physical examinations of each Duck operated by the company. 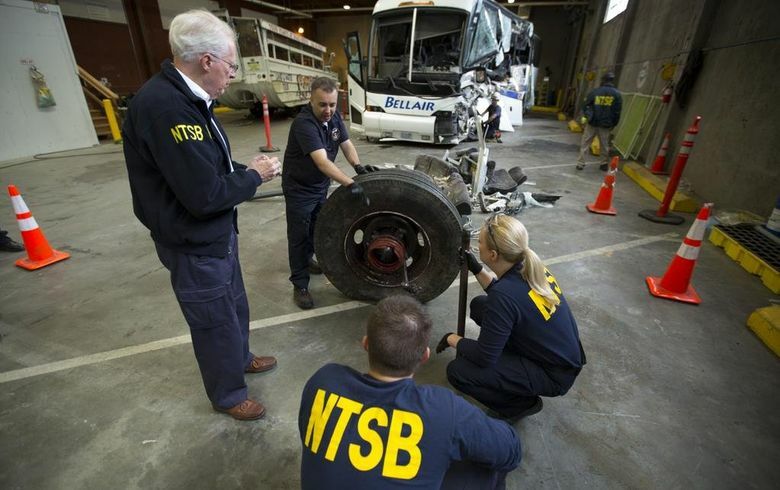 On Sunday, the National Transportation Safety Board announced that the World War II-era Duck vehicle that careened into a charter bus on Thursday had not undergone the recommended repair to the front axle. The vehicle’s left-front axle was found sheared off in the crash’s wreckage. Witnesses to the wreck have reported the Duck swerved and appeared to have a mechanical problem with its left front wheel just before the deadly crash, but the NTSB hasn’t determined whether the axle broke off before the collision. Duck No. 6, among the Seattle firm’s fleet of about 20 Ducks, had been refurbished by Ride the Ducks International before being sold in 2005 to the Seattle firm, an independently owned and operated licensee. Tracey noted in a statement Sunday the company is “working to understand what happened” regarding the recommended axle fix. 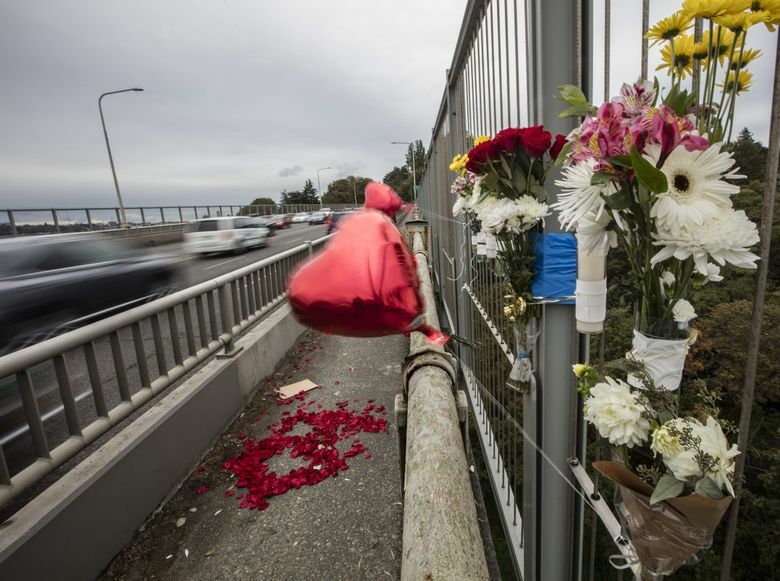 Monday’s developments came one day after a 20-year-old woman died of injuries suffered in the crash on the Aurora Bridge, the fifth death from the collision between the Ducks vehicle and a charter bus. She was identified Monday by the King County Medical Examiner’s Office as Haram Kim. All five victims were students at North Seattle College. 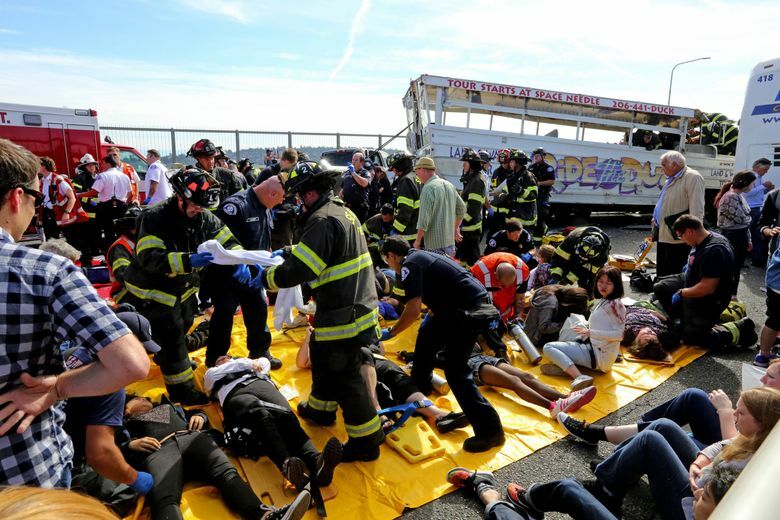 Dozens of others were injured. Last week, the UTC said the last time it inspected the Duck involved in the crash was in 2003. An agency spokeswoman corrected that Monday, saying the UTC last inspected the vehicle in 2006. During the UTC inspection nine years ago, the state found no major violations, an inspection report shows. Since then, the company also undertook required daily and annual inspections on the vehicle and a roadside inspection was performed on Aug. 24, Maxwell said. The UTC’s ongoing probe should take about two weeks before initial findings are made, Pratt said. 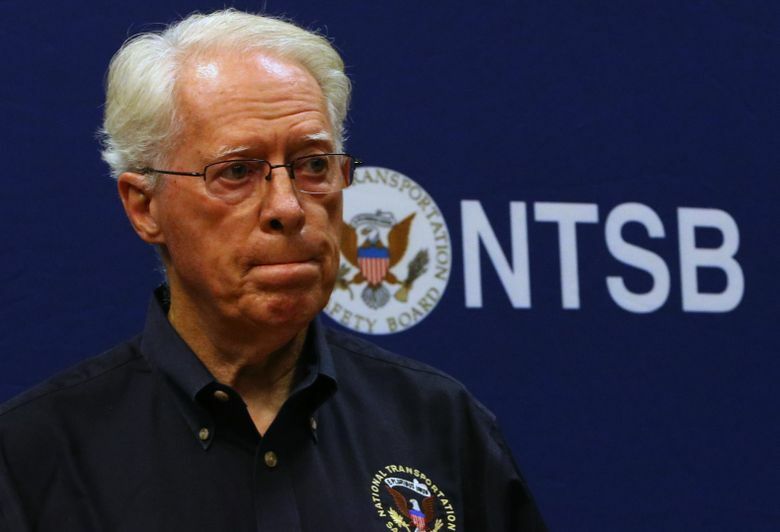 Meantime, the NTSB has said its separate investigation could take a year to determine the crash’s cause and issue safety recommendations. So far, NTSB investigators have interviewed at least 11 passengers, as well as paramedics and other first responders. They plan this week to interview the drivers of the Duck and the charter bus, which was operated by Bellair Charters & Airporter. Nine victims of the crash remain at Harborview Medical Center, including one in serious condition and the rest satisfactory, spokeswoman Susan Gregg said Tuesday morning. Two other crash victims are at University of Washington Medical Center in satisfactory condition. Monday also marked the first day of classes at North Seattle College. Warren Brown, college president, said at a news conference that some students on campus were injured in the crash, including some with broken limbs. Many of them, he said, are concentrating on their classes, which began on Monday. Brown said the campus has established two support centers for students and faculty affected by the Aurora Bridge crash. 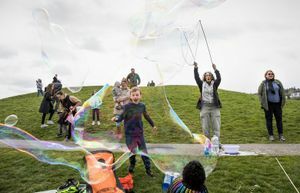 Lewis Kamb: lkamb@seattletimes.comSeattle Times staff reporter Christine Clarridge contributed to this story, which includes information from Times archives.